With the coming of winter and storm season, you should be ready to execute a well thought plan to protect your boat. One should prepare a list of all tasks you will need to complete before weather threats approach. Perform these tasks carefully so that you can be sure you haven’t missed anything. One overlooked preparation can cause headaches when boating season returns. The best way to protect your boat from the cold and wind is to put it on a trailer. Make sure the trailer has supports for the hull, because uneven weight can twist or push the hull out of shape. Also, support the engine and keel. You can use blocks or jacks if you don’t want to use a trailer, but make sure you support the boat in all crucial areas. Moving your boat ashore may not be enough. Make sure to place it on high ground, above the level of any potential surge or basins where water might gather and rise. Three-quarter-inch line for boats 35 feet or larger. Use chafe protectors anywhere the lines touch a surface. This will help prevent line breakage. Two of your biggest enemies in winter and storm season are freezing liquids and mildew. Remove the bilge drain plug and let all fluid drain. Scrub your boat and then make sure you dry all areas that have any leftover water or cleaning fluids. Drain and clean the head with precision. Electronic gear is extremely vulnerable to rain. The best antidote is to remove it. Even if you try to cover it, moist air can seep in and cause rust and bad connections. Keep your electronics indoors throughout the cold and wet season. Don’t forget to remove your battery as well. Fill your gas tank completely and put in an additive that prevents condensation. Change your antifreeze. Change the engine oil. It’s a good idea to change any worn belts or hoses so that you’ll be ready to go when warmer weather returns. Cover your boat with a waterproof tarp. Strap it down thoroughly to prevent it from flapping in the wind. Even if you store the boat inside, a tarp can prevent moisture from humid air from entering the boat. Tarp can also protect your boat from dust. Check the tarp periodically to make sure there are no tears, holes or loose corners. 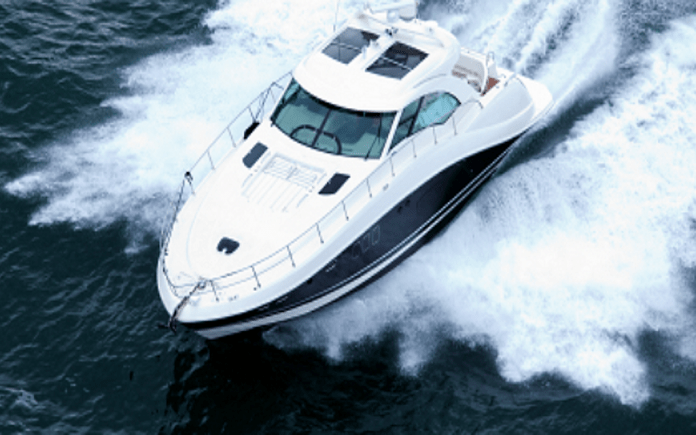 Protecting your boat from winter, storms and wind is not a last-minute job. It requires preparation and careful execution. This way you won’t spend your winter worrying about your boat, and your spring making boat repairs. Happy boating comes from careful storage.